Our goal is to connect people with the best local experts. We scored wedding photographers on more than 25 variables across five categories, and analysed the results to give you a hand-picked list of the best wedding photographers in Santa Rosa, CA. Andy Sandy Home for Brides is a Santa Rosa photography studio that captures photos and videos of clients' weddings. The business provides add-on items including custom albums, wedding DVD cases, flush mount wedding albums, frame canvas prints, and guest photo books. The studio won the WeddingWire Brides' Choice Award in 2013 and The Knot Best of Weddings in 2013. Clients attest to the photographer's professionalism and creativity. Blue Iris Arts has been serving the Santa Rosa area since 2007. The photography studio, based in Windsor, offers wedding package features including two photographers, up to 10 hours of coverage, an engagement photo shoot, edited photos on a CD or USB, a leather-bound album, and a large canvas or acrylic print. Clients have given positive feedback for Blue Iris Arts' friendly staff and quality photos. The studio has photographed more than 100 weddings during its time in business. The owner of Celeste Photo Art is an award-winning photographer who has spoken at the Professional Photographers of America's National Convention, the Western States Professional Photography Convention, and the Professional Photographers of Canada. The studio photographs weddings, portraits, corporate headshots, and commercial photos. Clients praise Celeste Photo Art for its calming, punctual photographer who has an artistic eye. Crystal Noelle Photography is a photography company located in Santa Rosa, California that is “capturing memories one shot at a time.” This company specializes in wedding photography, bridal photography, engagement photography, family portraits, children photography, and senior portraits. The passion of professional photographer Crystal Noelle and the heart of her business is wedding photography. Her work focuses on the couple’s journey to marriage, the happiness at the wedding day, and the hopes of a happy future. The pictures capture the essence of life’s special moments. Crystal Noelle understands that clients are hoping that the photographer can preserve their great memories so they will last a lifetime. She possesses the knack and skill to connect with people on a personal level in each moment of life’s happenings. Elle Jae Wedding Photography is made up of a husband and wife team that have been photographing weddings since 2001. The studio's work has been published in Destination I Do Magazine and Maharani Weddings. The business will travel anywhere to photograph weddings, and will also photograph engagements. 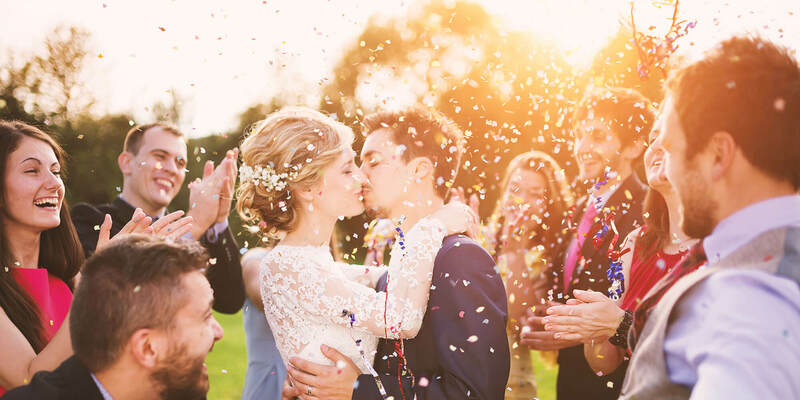 The lead photographer at Karenscape Photography has been practicing professional photography for more than 15 years and has shot hundreds of weddings during that time. The studio's work has been featured in Weddings New York and the business won the WeddingWire Couples' Choice Award in 2015. The photographer also shoots family portraits. Clients have praised Karenscape Photography for its fast turnaround time, professionalism, and gorgeous pictures. The owner of Kate Nagle Photography has been shooting photographs for more than 15 years. The Santa Rosa photography studio includes prints with all of its digital file packages. The business photographs weddings, family portraits, maternity photos, newborn photos, and baby photos. Clients attest to Kate Nagle's professionalism and eye for detail. The founder of Lori Paladino Photography has been practicing professional photography for more than 10 years. The photography studio, based in Napa, uses a mix of photojournalism, editorial, candid, and fine art styles in its wedding photography. The photographer takes her time to get to know the couple before the special event to best capture their interactions on camera. The business also captures elopements, engagements, and portraits. Clients have praised Lori Paladino for her close and personal photos and photography expertise. The founder of Luke Snyder Studio has been photographing weddings, elopements, and engagements for more than 10 years. The photographer describes his style as relaxed and authentic with beautiful lighting. The Santa Rosa wedding photography studio delivers finished photos within a month of the event. Clients have praised Luke Snyder for his engaging, personable personality and stunning photographs. Maria Villano Photography uses a mix of traditional and modern photography styles. The business will build custom wedding collections based on the client's budget and plans. The studio carries wedding albums with leather or linen covers. Maria Villano Photography also shoots family portraits and pet portraits. Clients have praised the Santa Rosa photography studio for its fast communication, thorough organization, and respectful photo direction. Mariah Smith Photography has been serving Santa Rosa clients since 2006. The photography studio's wedding packages include a pre-wedding consultation, high-resolution digital files, and an online gallery. The business also shoots beauty portraits, family portraits, and commercial photos. The photographers' work has been published in North Bay Woman, Food Network Magazine, Wine Spectator, Bar Business, Northbay Biz, and other publications. Michelle Feileacan Photography uses a mix of photojournalistic and traditional photography styles that aren't over-posed. Based in Sebastopol, the studio shoots any kind of wedding, and was certified as LGBT friendly by A Vote and A Vow. The business also captures lifestyle portraits and custom photographs, and carries custom albums available for purchase. Clients have given positive feedback for Michelle Feileacan Photography's artistic, calm, and friendly photographer. The owner of Nanci Kerby Photography has been working in the industry for more than 20 years. The photography studio, based in Napa, provides a variety of wedding package options with features such as a DVD with high-resolution images, professional editing, a wedding album, and a custom coffee table wedding book. The business also shoots engagements, proposals, portraits, and commercial photos. Clients give positive feedback for Nanci Kerby's kind, easygoing personality and professionalism. Natasha McGuire Photography uses a mix of high fashion and editorial photography styles. The Santa Rosa photography studio shoots, wedding photos, engagement photos, proposals, high school senior portraits, and family portraits. The business carries leather wedding albums for purchase. Clients give positive feedback for Natasha McGuire's friendly, approachable personality and flexibility. The photography studio has been featured on Knots Villa and Borrowed & Blue. Nirav Patel provides couples with the highest quality photographic services available in the San Francisco area. The exceptionally talented wedding photographer specializes in capturing magical moments that tell stories in an emotional, creative, and organic way. Nirav Patel possesses a timeless style of photography that utilizes dramatic natural landscapes as a backdrop that yields one-of-a-kind masterpieces. Couples can trust the creative professional to deliver high-quality imagery that reflects their unique style and essence with stunning clarity. Nirav Patel enjoys an outstanding reputation for practicing wedding photography as an art form that creates precious memories for years to come. The highly skilled photographer maintains the expertise and vision to capture images for a range of occasions that meet specific needs and tastes. Paul C. Miller Photography uses a photojournalistic style to shoot wedding photos. The photographer's work has been featured in The New York Times, The Washington Post, The Times of London, The Los Angeles Times, The Baltimore Sun, and Maxim Magazine. The business won the WeddingWire Couples' Choice Award in 2014. Clients have praised Paul C. Miller for his professionalism and ability to capture personalities on camera. Paul Murphy Photography has been serving Santa Rosa clients since 1993. The photography studio provides a variety of wedding package choices with add-ons such as gallery wraps and wedding albums. The business also shoots maternity photos, newborn portraits, high school seniors, school dances, yearbook photos, engagement photos, military photos, and boudoir portraits. The studio's specialty services include passport photos, photo restoration, and holiday greeting card photos. Clients have praised the studio for its photographers' flexibility and fun personalities. Photography by Custom Image Sonoma has been shooting wedding photos since 1992. The studio also photographs special events, high school senior portraits, family portraits, commercial photos, and passport photos. The business designs and constructs websites and provides SEO and social media services. Clients have praised Photography by Custom Image Sonoma for its knowledgeable, creative, and thoughtful photographers. Plumlily Photography captures local and destination weddings. The Santa Rosa photography studio also photographs elopements, engagements, maternity photos, birth sessions, newborn photos, and family portraits. Clients say that the photographer makes the photography experience fun and stress-free and provides fast communication. The California Photography Company works for clients in Santa Rosa, Sonoma, Napa, Marin, and Lake Counties and specializes in wedding photograph. Their employees believe that many of life events are significant and should be remembered through photography, so each person carries a memento of the special moment with them. The company caters to people of all lifestyles, religions, and cultures and strives to get to know their clients to create personalized pictures that demonstrate each individual’s personality. Mark Ford is the primary photographer and received his first camera in 1989, which spurred his love of the art form. Customers of The California Photography Company can select from multiple packages which determine session times and the quantity of photographs each client receives.